Even though much of the country has been working hard to bounce back in the last year, you may only now be realizing your struggle with debt. Whether an unexpected situation prompted your newfound concerns about debt or it's a problem you have been denying for a while, there is no time like the present to get your finances back on track. Pay off small balances to get rid of the carry-over balances. 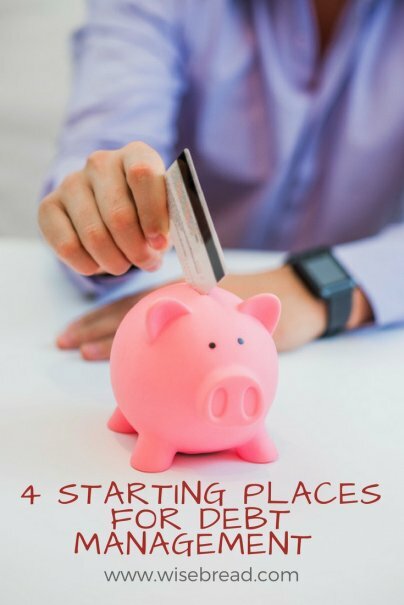 Start with the card with the lowest balance and keep moving on to the next one while continuing to pay minimums on the other cards. Some people prefer to do it the other way around, focusing primarily on the card with the highest interest rate. Whichever method works for your financial situation will help you eliminate credit card debts faster. If your credit is still decent, you may be able to procure a low-interest balance transfer card. You can transfer high-interest card balances to one card, eliminating multiple payments each month, allowing you to make one larger payment. However, you must ensure you have a plan to pay off the total balance before the promotional period ends and the low-interest rate morphs into a higher, unaffordable rate. Get a part-time job or second income source and devote all earnings to your credit card debt. The job only has to last as long as your debts do, so if you have the time to spare or a hobby to capitalize on, make the supplemental income work for you. If your credit is still good, you may be able to get a lower interest refinance rate on your current car loan. Only use this option if you are sure your credit will fit the criteria. Cutting down on your vehicle loan payments each month can free up some cash to put towards other bills each month. If your vehicle loan is just too much for you to handle, consider trading in or selling for a more reasonable, more affordable vehicle. You may not realize how much of your regular spending is based on your "wants" rather than your "needs." Needs are the basic essentials a person or a family requires to survive. This includes food, shelter, clothing, and to some extent transportation. Wants are material items or services you are inclined to have, including a home you can't afford the mortgage on, clothing from the famous label designers, food from high-end restaurants, and luxury vehicles for your work commute. Analyze your spending habits and stop spending on your wants. Set a strict budget for your needs and follow through with it based on living within your means. The goal of debt management is eliminate all outstanding debts in an effort to save more cash. If you are struggling but still financially in a position to take out a loan as a way of consolidating all your outstanding bills, it may be the fastest way for you to meet your goal. If a personal consolidation loan is not in the cards for you, consider speaking with your 401k provider about accessing some cash. If you have enough saved in the fund to eliminate all debts, it will be more effective than if only partial debt relief will be achieved. This option should be your last resort and only done after you are certain your employment is secured and you have a plan to pay back the money borrowed. Very good tips. Another tip is to contact credit card companies and ask for reduced payment and lower interest for a few months. I was able to get Target to reduce my payment and interest while I was unemployed for a year. Be very careful when using 401K as a loan or withdrawal. it could cause you to incur more debt with the IRS. Yikes!